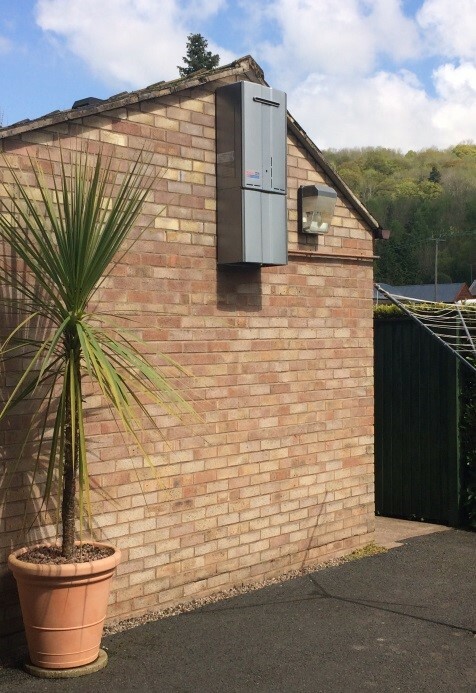 Rinnai, the UK leader in hot water heating units and systems for all commercial and residential sites, has recently completed yet another installation at a caravan park and holiday multi-activity centre. 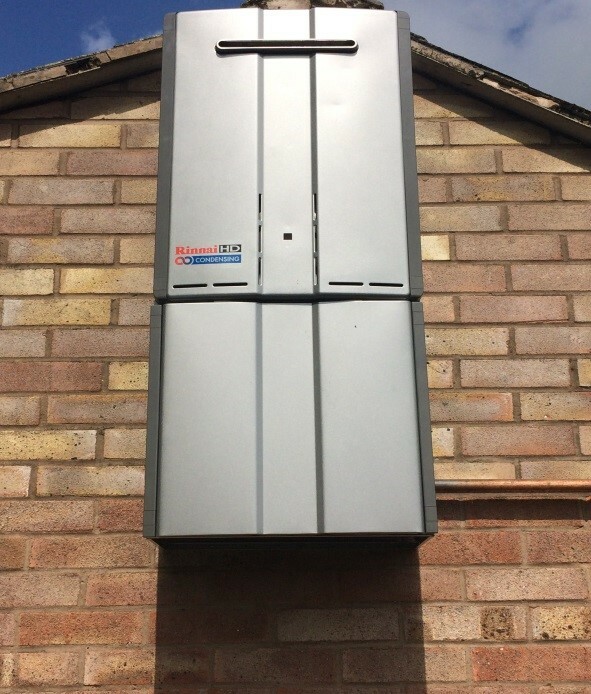 Due to space and configuration constraints the Rinnai 1500e unit was selected and installed neatly on an external façade and accessorized with a pipe cover box to deter any vandalism and provide weather protection. As this is a pre-manufactured unit, no additional flue or ancillaries required, aside from standard pipe and electrical connections. The installation was easily completed in less than a single day. Rinnai, the UK’s leading manufacturer of the ErP A-rated Infinity range of continuous flow condensing gas-fired water heaters, supplies the best energy efficient range of low-NoX water heating units currently on the market. Advanced condensing heat exchangers combined with innovative down firing pre-mix burner technology ensures that every cubic metre of LPG is used to the maximum on HDC 1500e. One of the site concerns was Legionella proliferation, therefore a ‘SMART’ controls for the secondary return DHW systems in the form of an advanced temperature control system which allows for safe running of water at 42°C core temperature during the day and 60°C at a time when the building is closed was used. By the time the building reopens, core temperature is 42°C for safe use. Another Rinnai innovation addresses an age-old industry problem with hot water delivery – lime scale build-up. The company’s integrated scale control system is an innovative solution and comes in the form of an LC (lime check) code on the display of the controller. Almost all water-fed appliances, including plate heat exchangers, boilers and water heaters will accumulate scale deposits when used within hard water areas over time. Lime scale consists of calcium carbonate (calcite) with lesser amounts of other calcium salts such as the sulphate. Sometimes lime scale deposits contain corrosion debris and this scale build-up can affect the water heaters by reducing their efficiency and overall performance. Ultimately, ongoing use with hard water may shorten the lifespan of conventional water heating appliances and systems. To safeguard against this Rinnai units continually self-monitor for lime scale deposits around the heat exchanger. If a lime scale build up has being identified, a message is sent to the built-in interface panel on the front of the appliance. The message is displayed as ‘LC’, which alerts the end user that it is time to call a Rinnai service agent to perform a lime scale flush to clear the potentially harmful deposits. This avoids and eliminates the adverse effects associated with lime scale build up, including lower energy efficiencies and rapid product de-generation. Rinnai’s HDC range offers condensing technology with up to 107% gross efficiency, ultra-low-Nox of less than 20 ppm, a widely expansive modulation range of 59.5kW-2.8kW and high flow rates of 37/ltr/min. Add to these benefits are the peace of mind of an extended warranty, a top A-rating exceeding the demands of eco-labelling legislation, the flexibility of external wall mounting and delivery to site with all relevant accessories and the knowledge that the HDC range is future-proofed against future regulatory and legislative changes.